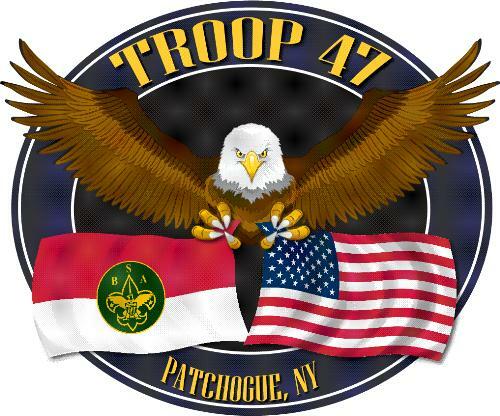 Boy Scout Troop 47 has been active in the Patchogue, New York community since 1986. We currently meet on Monday evenings at Emanuel Lutheran School on Main Street in Patchogue. If you would like to find out more information, please contact our Scoutmaster at the above link. Parents of current members can gain access to our private site by responding to our invite. Please check your inbox for the invite, or contact the Scoutmaster.